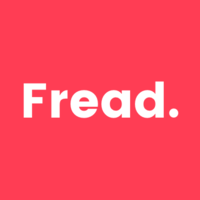 Fread set out 10 months ago to solve a problem in online content monetisation (news, journalism, music, video). I’ve written a lot about this problem on the Fread blog, so won’t rehash it all – I’ll put a few links below. While we’re doing a ton of work behind the scenes to make micropayments a reality, in the meantime we’ve launched a product in the news space that we’re pretty proud and excited about – Fread Unlimited. At Fread, one of the things we believe is that getting access to a broad range of good quality journalism is essential part of your digital diet. But it’s impossible to do that at a £2000 price point. So, we built Fread Unlimited. It’s like Moviepass or Spotify, but just for paywalled news. You pay £10 / $12 a month, and get a login that gives you access to the major paywalled news / journalism websites. And if you come across some content that isn’t covered by your Fread subscription, with a click of a button we’ll make sure you get access. We’ve had an incredible response so far, with just under 30,000 people signed up for the beta so far in the first 2 weeks.